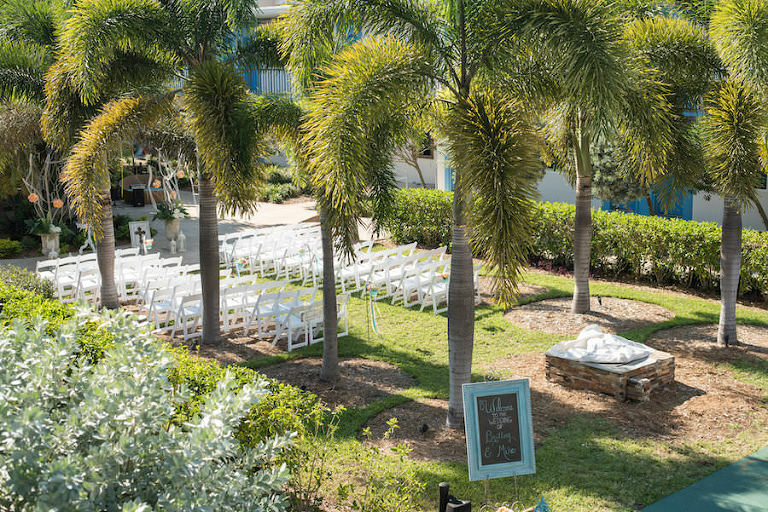 Brittny and Mike’s tropical wedding under the palms created the perfect ambiance for their St. Pete Beach wedding. 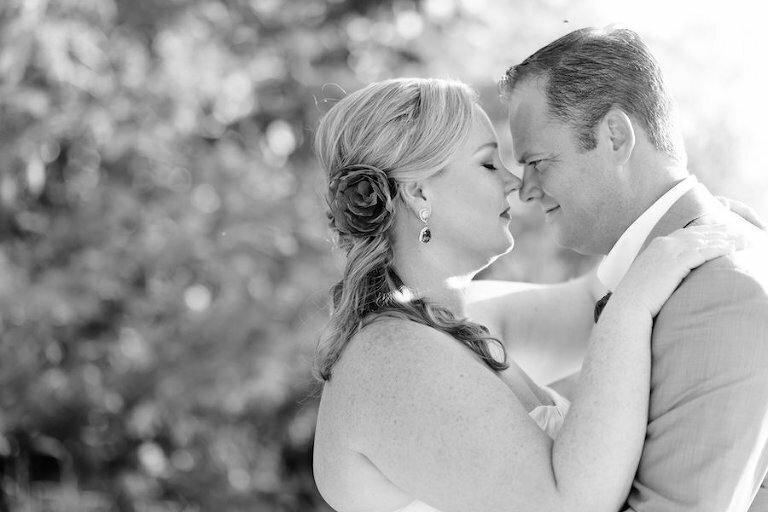 The bride and groom hosted an outdoor wedding ceremony, just steps from the Gulf of Mexico, followed by wedding portraits on the beach by St. Petersburg wedding photographer Caroline & Evan Photography. 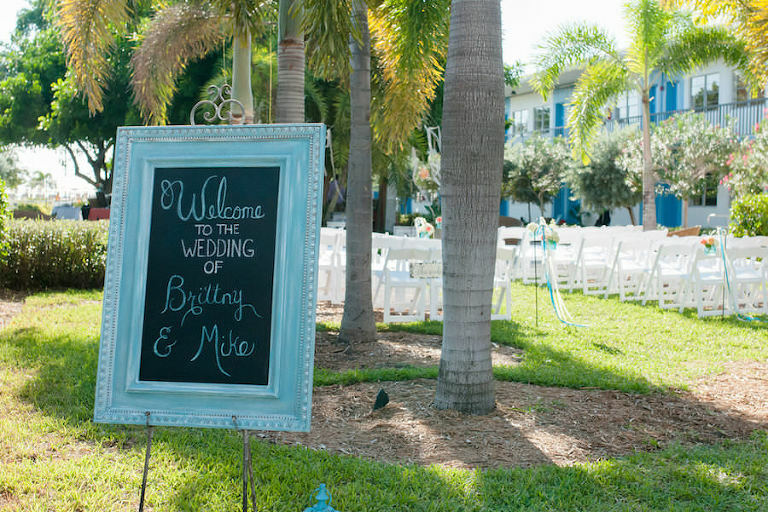 The bride and groom’s outdoor wedding reception featured a coral and turquoise color palette, market string lights and a mix of round and long feasting tables. 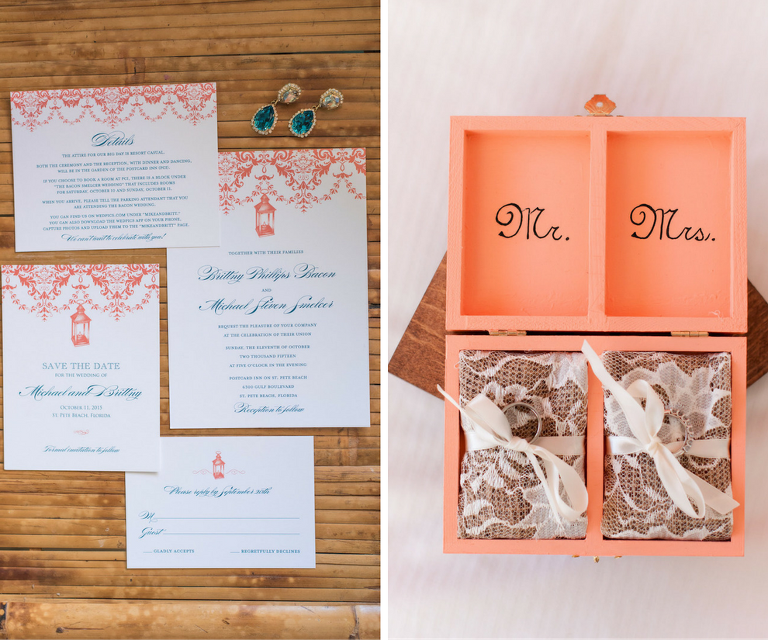 The crinkle, textured linens from Connie Duglin Specialty Linen set the mood for the tropical themed celebration. 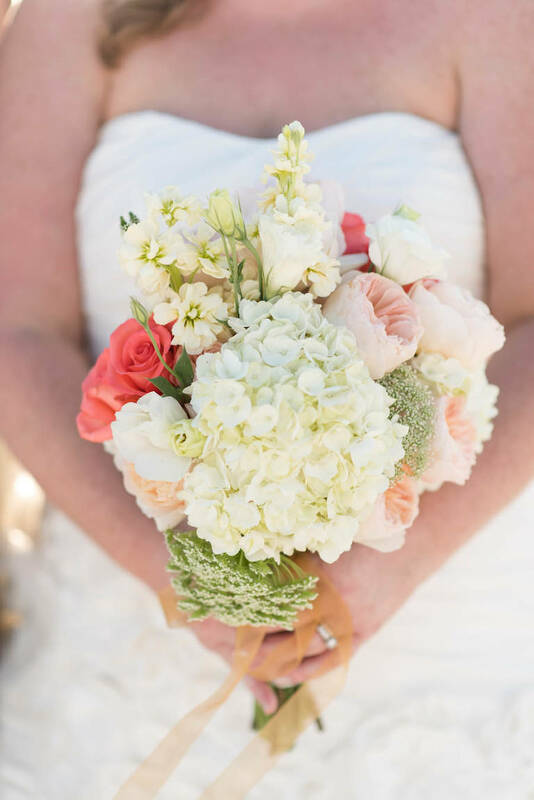 Turquoise lanterns and varying heights of coral and white centerpieces filled the the reception tables.